But then a week ago, Party City asked me if I'd like to style something for Halloween, and I knew this was my chance. 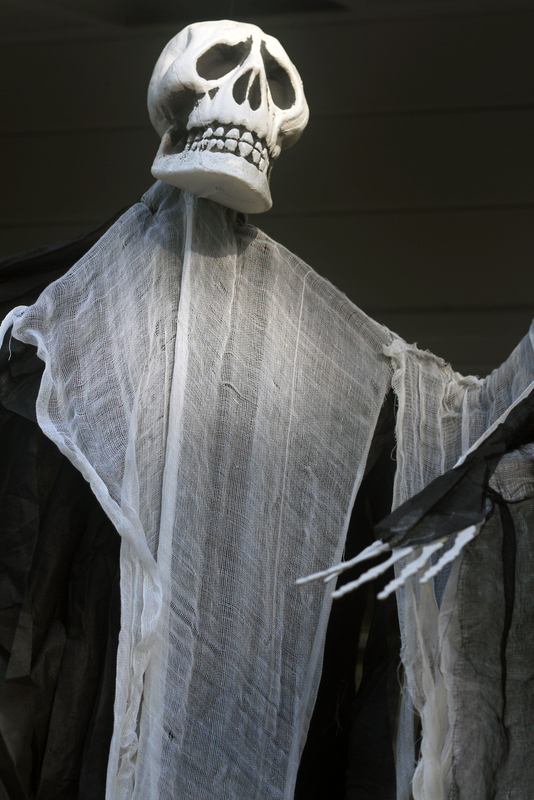 Party City has a great selection of scary decorations. I was really impressed. First thing I decided to create was a graveyard. 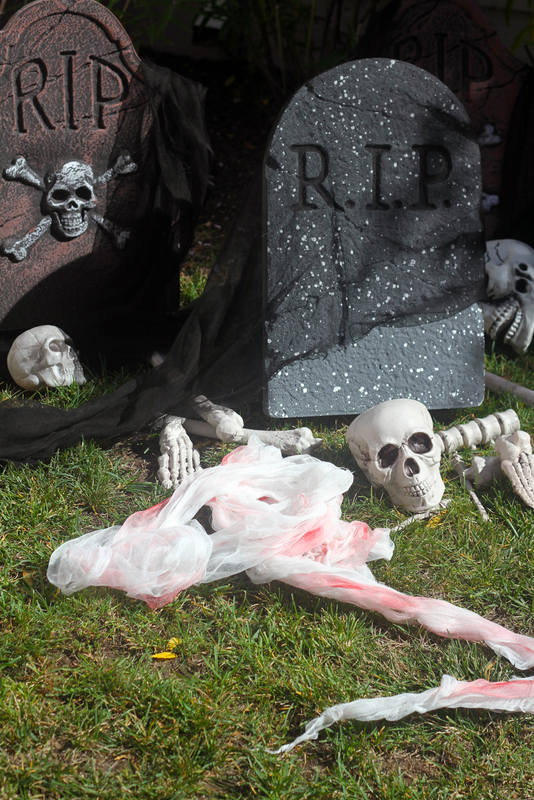 I bought three styrofoam tombstones, a pile of bones, and some black gauze. The gravestones were light and came with plastic stakes, so they were easy to put in the ground. 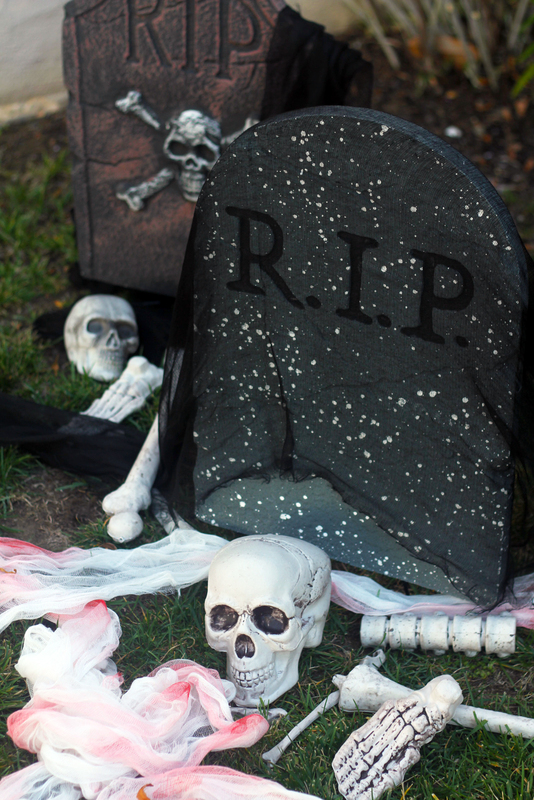 I sprinkled the bones around the graves and draped the black gauze over a few of the tombstones. This took me about ten minutes to put together and the effect was terrific! 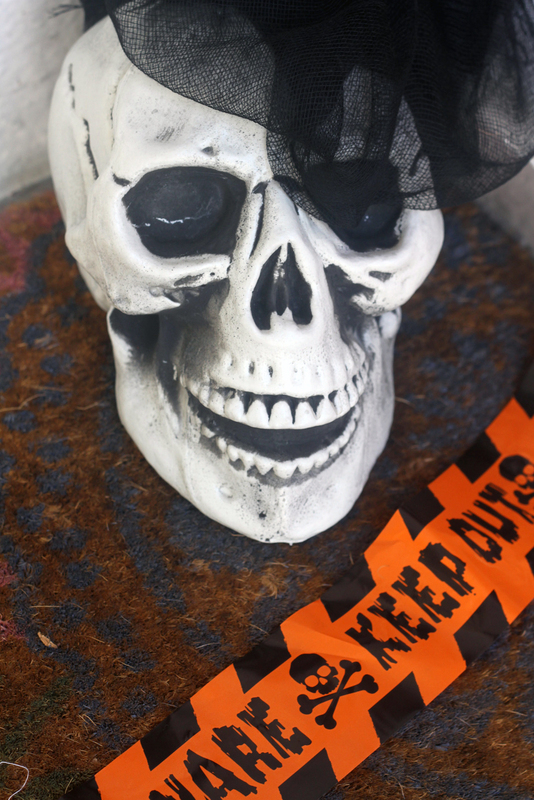 Next, I attached this creepy plastic skeleton wreath to my front door and tacked up some "beware/keep out" tape. This probably took 15 minutes because I was kind of particular about where I placed the tape. 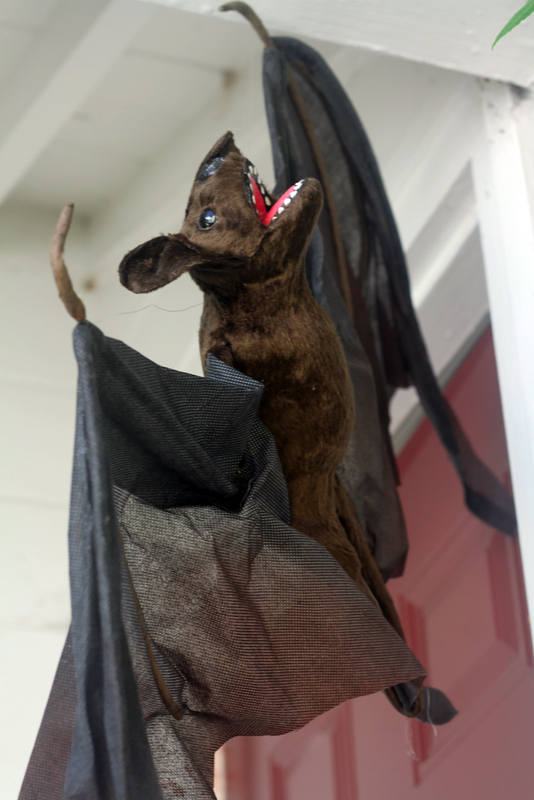 I hung this bat from the porch overhang, right near my front door. I wanted it to look like it was about to attack! On my welcome mat, I placed this skull. 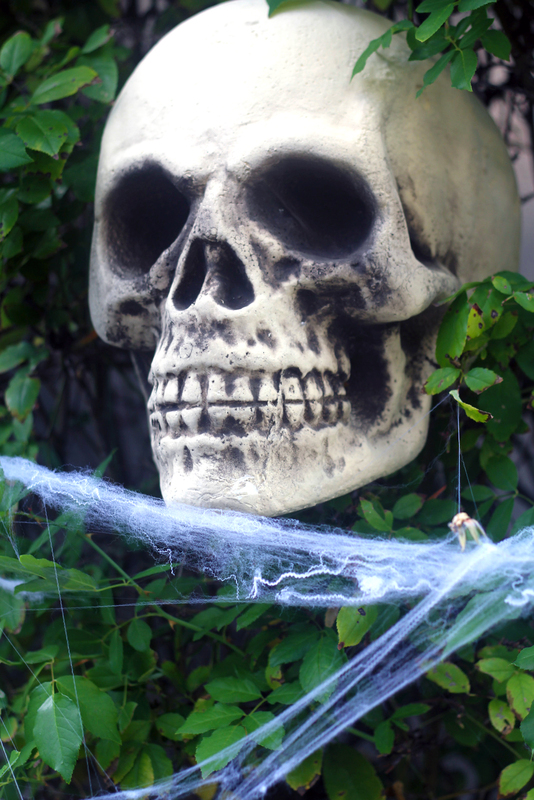 And right by the front door, I used wire to tie a giant skull to our rose bush. Then I added some cobwebs to give it even more drama. The wiring of the skull was the most complicated thing I did, but it was so worth it. The big skull effect was tremendous. Here's a close up of the skull. 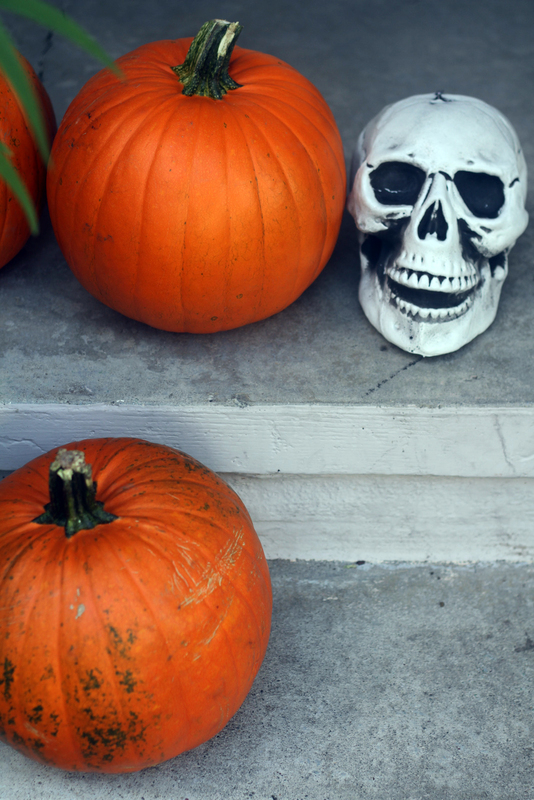 I used some real pumpkins to decorate our stairs, but added this guy for effect. 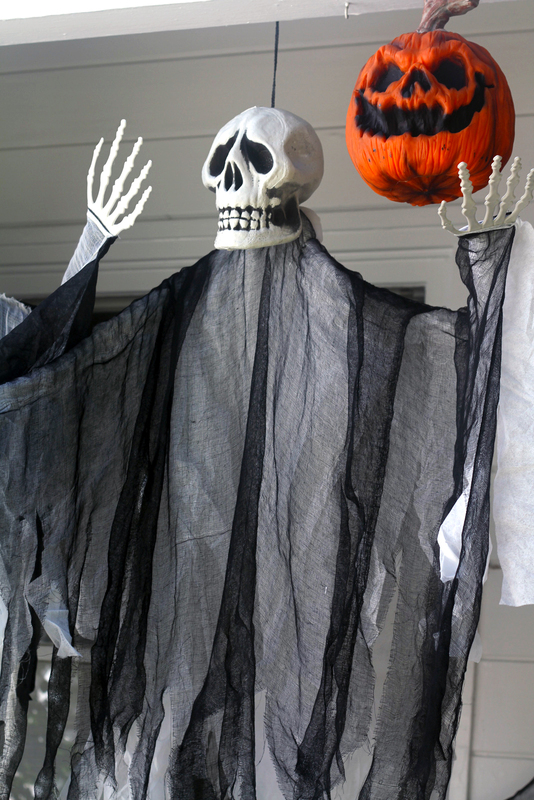 And for the main event, I hung three scary reapers above my porch, plus this weird creepy pumpkin. I wanted the reapers to look like they were flying, so I nailed the bottoms of the cloaks to the wall behind them. The effect worked. They looked like they were in motion, moving forward, ready to charge. This guy was my favorite. 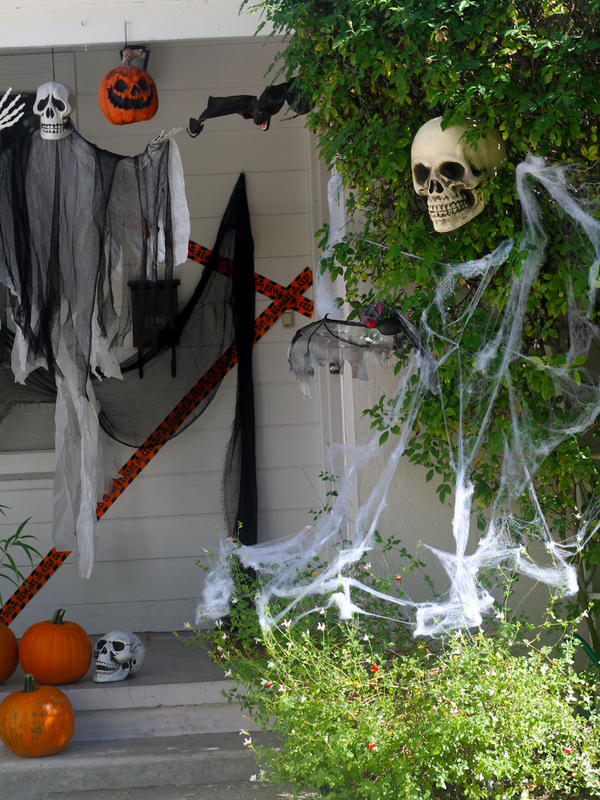 Here are my three takeaways from tricking out my house for Halloween. 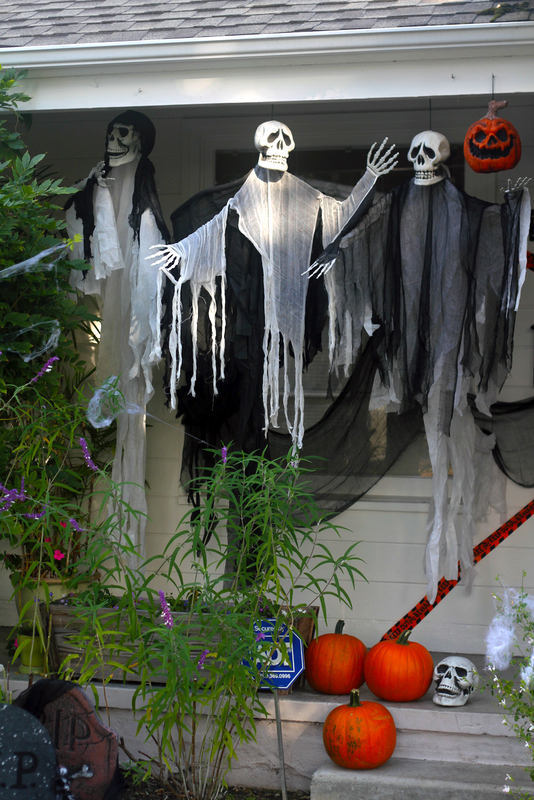 Putting together my creepy front yard was even more fun than I thought it would be! It was a lot easier than I expected, because there was virtually no assembly required -- everything came premade. I just had to figure out where to put things. It took much less than time I thought it would -- I set up the whole thing in less than two hours. BONUS: Gauze is a must! It created a great effect where ever I used it. This post was sponsored by Party City, but all the creepy and scary ideas were mine. If you're looking for great Halloween decorations, head to Party City.